Tag Archive | "College Budgeting"
Heading off to college usually involves a lengthy — and expensive — shopping list. To stick to your budget, you’ll need to be smart about what you’re investing your money in. Here are a few items to keep in mind. You’ll be lugging plenty of study materials around campus for at least four years, so do your future self — and your back — a favor and invest in a sturdy backpack to haul it all around. Look for a design that is as sturdy as it is sleek so that it can easily transition as a work bag for your internship or first job. Key features to look for are a special padded laptop section, hidden compartments for valuables, as well as plenty of other storage compartments to keep the rest of your essentials organized and accessible. It’s worth splurging on a quality shower curtain to keep your bathroom looking clean and elevate the style of your space for a more adult look. Be sure to protect your shower curtain from mold and mildew by using a mildew-resistant liner. This can prevent mildew from growing, which can also save you time cleaning your bathroom. Instead of buying the cheapest towels you can find in bulk, spring for towels that cost a little more. High-quality bath towels, hand towels and washcloths will often wash and wear better, lasting longer and saving you money in the long run. Skip the colorful options in favor of solid white towels that can easily be bleached to look like new if they stain or start to discolor. Maintaining optimal hydration offers a host of health benefits, from aiding digestion and helping you feel more energized to improving the look of your skin and promoting overall immunity. And if you are living it up in the typical college fashion and going out drinking with your friends often, hydration is even more important to ward off those dreaded hangovers. Splurge on a double-walled stainless steel water bottle from Hydroflask, Swell or Klean Kanteen. While plastic water bottles, even the reusable kind, can leach chemicals into your water, stainless steel water bottles are safer and more eco-friendly. The sturdy construction also means this style of water bottle is more durable and can stand up to the drop and tumbles that can occur as you tote it around on campus daily. Double-walled, vacuum-insulated construction is key for temperature stability, keeping your water cold for hours in any environment. You’ve got a lot going on and all of that juggling can make it easy to lose track of the simplest little things, like your keys. Save yourself the headache of furiously tearing your place apart looking for your keys by investing in a wireless key finder. This ingenious little device attaches to your keyring and uses a Bluetooth signal to pair with your phone. When you cannot locate your keys, simply deploy the find feature from the device app on your phone and it will begin playing a designated finder tune to help guide you toward your keys. By splurging on the above items, you can enjoy years of use and spend less sweating the small stuff and more time focusing on your studies. You’re in! Acceptance to that college you have been dreaming of has now become a reality. Then it hits you – how are you going to afford this? Well, it’s easier than you might think! However, it does require careful planning and strategy. You cannot simply show up on the first day of school and expect to “figure it out as you go”. Taking a few precautions and implementing a few strategies can help you become a budget-savvy college student. First, let’s look at financial assistance at the college level. Financial aid officers are like your guidance counselors in high school, but on a much larger scale. Your financial aid office should be your new best friend. Their job is to guide and educate students about the many financial options available. So, make sure to get acquainted with them! Students are often unaware of the many options available to them in the form of scholarships, grants, work-study programs, etc. One other thing many students don’t know is that funding opportunities can be available outside of the financial aid office as well. Your program’s office may also have scholarships or grants available that are specific to your major, so make sure you make it a goal to try to find out about all funding opportunities, so you can make an informed decision about which to pursue. Becoming knowledgeable about all of these options is a great way to start giving yourself a realistic idea of what your education will cost. Next, explore your college campus. Do you really need a car to get around? What transportation options are available? Many campuses are like an all-inclusive resort. There is literally no need to go off campus for your everyday needs. In situations like this, students can save themselves the cost of a car payment, car insurance, gas, and repairs by using public transportation. Many campuses even offer free or low cost shuttle services to get students around campus quickly and hassle-free! Also, ride sharing companies such as Uber and Lyft offer discount rates to college students, so do the math… is it cheaper to own a car or to use alternatives? To Work, or Not to Work? That is the Question! There are some pros and cons to working while being a college student, which need to be taken into account. Will it affect your study or class schedule? How will taking certain jobs which require certain hours impact your social life? Aside from social life, team projects may also be impacted by when and where you work. Will this job be something related to your major, or will it be a side gig to earn some extra cash? Also, will the position be on campus or off campus? There may be many perks to taking jobs on campus, such as not having to commute, interacting with students, staff and faculty of your campus community, and perhaps an increased chance that you will be engaged in other activities and know “what’s happening” on campus. Determined that you want to get a job? Then it’s time to explore your options. Check with, or better yet, visit the career center at your campus to see if any job opportunities are posted. Having some extra money by undertaking a fun job while in school is a win-win. If you don’t see anything of interest, you can look elsewhere to find something you enjoy that will work with your class schedule. Having the above elements sorted will help you create a realistic budget. Groceries, dining, clothing, toiletries, supplies, etc. all add up very quickly. Creating categories of items which you know that you will be spending money on will give you insight about what you need versus what you want. Before school begins, scouting clearance and sales for some of these items and building a stock of necessities can help make this process easier. This will at least offset these costs for the first few months as you get settled in with your exciting new path as a college student. Higher education can come with a daunting price tag. Don’t let the cost of tuition scare you! We have met college hopefuls who have decided not to attend their school of choice based on tuition alone, or even some who were so terrified by the tuition that they put off going to school altogether. 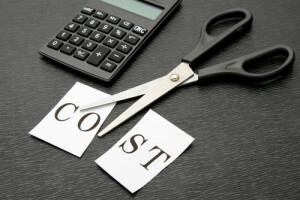 There are numerous options that students can look into to help alleviate these costs. Think of your tuition like the sticker price on a car. What you see does not have to be what you pay! You will have to put in the time and the research to get what you want. As with all things in life, if you are dedicated to making it work, you just might be pleasantly surprised by the outcome! One thing that may alleviate any concerns you may have, is to do some research and find out how much you expect to earn once you have your dream job. Compare that to the cost of tuition. A college education is the key to earning that amount of money, so think of it like an investment! 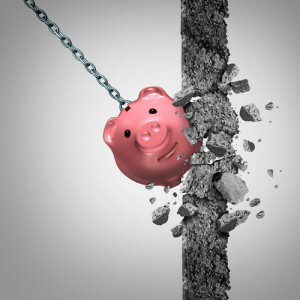 Knowing Your End Goal Could Save You Money! The end goal looks different for every student. The main question to consider: what do you want to accomplish with your education? Is it important for your resume to list a particular school? Is there an organization you can join which can help you with your career goals? These questions warrant close examination. 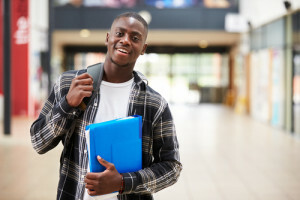 For example, undecided or budget conscious students may opt to spend the first two years at a community college to satisfy the prerequisite courseworks and transfer into a full time university or college. Community colleges are cheaper compared to a private or state university. The option is available to transfer credits from an associate degree to a college or university where students begin taking core courses. This is not the ideal option for everyone, as some professional degrees may require prerequisite associate level courses before moving on to the Bachelor level. If this is a viable option that suits your end goals, however, it could be a significant financial relief for you (and your wallet). The bottom line is, if you know where you would like to be, academically and in your career, the path you choose to get there could save you money in the long run. There usually IS more than one way to get there! Today’s guest article comes from Desiree Van Campen, Dr. Kacey Shap, Dr. Jazmin Letamendi and Dr. Carl Letamendi from Ology Research Group. They provide support with research & evaluation support, survey instrument design, survey implementation, analytics for reports, assessment and grant writing. They may be reached at info@ologyresearchgroup.org. College is already stressful – workload, course load, homework and projects, club meetings and events – without adding financial troubles to the mix. However, properly preparing for unexpected college expenses can help minimize stress. There are plenty of places where students can go to get help managing money, applying for financial aid, and getting familiar with what to expect from college, including the Federal Student Aid. Text books are expensive, especially given many students don’t keep them past a year. A great way to keep costs low is to buy used texts as often as possible. There are plenty of online resources to ensure you get quality used books for a low price while others rent textbooks for the quarter, such as Chegg.com or Amazon. Don’t purchase your books right away, either. Wait until you have a syllabus and know you will be staying in the class. Buying them before the first day can be costly if students drop the class for one reason or another. Fall quarter syllabus created in the summer can also change before the quarter starts up. Digital text books can be rented or purchased and are often much cheaper, too. Plus instead of weighty books, they’re as light as the device they’re saved on. Budgets are the hardest part to stick to. Saving even 10 percent of your income from jobs or student aid can greatly increase your ability to cover unexpected costs. Monitor your spending. Instead of springing for cable or daily lattes, go for Netflix and a coffee maker. There are ways college students can sway out spending for lower-cost options all over the place. Food costs can be cut by pooling food money and buying in bulk. Housing can be less expensive the farther from the campus students live, though, get too far out and you may need a car (negating some savings). Credit cards can be a dangerous slope, as minimum payments are never enough and costs rack up quickly. It’s good to have an emergency credit card, but its easy to overspend via credit cards. Having a car can be really fun, but aren’t the most cost-effective possession for a young college student. However, if you really want one to have cool road trips in or to haul your college gear, check out local DMV locations to get your in-state license if you don’t already have one. Many places offer student discounts when you show your student ID. Anything from insurance to food, clothing to services, and more. Organizations have already compiled comprehensive lists of places with student discounts, so all you may have to find is where businesses are located. When you’re at the register, just ask if they have a student discount and hopefully you’ll be able to save a couple bucks. Amazon Prime even has a discounted version for students. Prime Student is a six-month free trial of all Prime services. After the initial trial ends, eligible students get a 50-percent saving off Amazon Prime for four years. No money and no time to make money may be the hardest college equation you’re asked to solve in the next four years. How are you supposed to pay for tuition, living expenses, entertainment, travel and more when you’re in class, studying for exams, or trying to find and complete an internship? It’s hard, but it can be done. 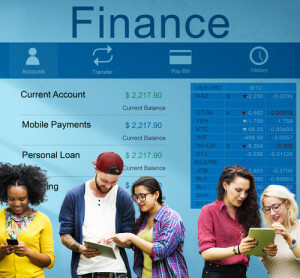 Indeed, the best way for college students to make money is to save the money they have already earned — whether from part-time jobs or student loans — by practicing smart spending habits and using student discounts. Here are a few tips to help you get started. Whether it’s pen and paper, a simple spreadsheet or an app, you must come up with a way to track your spending. Mint, a free app, helps you create a customized budget, track your spending, pay your bills, and even learn about how to improve your credit score. When creating your budget, set goals for your spending, but be realistic. If you’re a foodie, don’t cut eating out completely — just limit yourself to a certain dollar amount each month. The same goes for gamers, sports enthusiasts, shopaholics and adventurers. To save money and stick to your budget, you don’t have to live a boring life — you just have to plan ahead. When money management is on the mind, every activity, cup of coffee and weekend get together all of a sudden looks like dollar signs to you. These things, as well as fixed costs and unexpected expenses, are part of life. Figure out a balance of when to save and when to splurge — and recognize when doing either will benefit or break your budget in the future. When it comes to insurance, for example, you don’t want to skimp now and then find yourself paying big bills later. The same goes for car maintenance. If you can avoid choosing cheap repair options now, they won’t keep popping up in the future. So, the next time your car gets a blowout, see it as an opportunity to invest in high-quality tires, which will save you money in the long run. If you join or renew as a Sam’s Savings member, you’ll receive a $15 gift card with your student ID. In addition to groceries, varying Sam’s Club locations also offer members-only discounts on tire service, an optical center, pharmacy and more. Students can earn discounts on Adobe Creative Cloud by choosing between the All Apps plan (giving you access to the latest versions of every Adobe creative tool) or Photography plan (which includes Photoshop and Lightroom). The Student Advantage Discount Card from Greyhound will save you 20 percent on walk-up fares and online tickets. It also saves you 40 percent on package shipments sent through the company’s Package Express offering. While these are all awesome discounts, remember, there’s a reason businesses offer student discounts: It’s because students usually don’t have a lot of money to spend. Don’t let yourself jump on the “But it’s such a good deal!” train. The key to saving money with coupons or student discounts is to only use them on products and services you already planned to buy.